This week was less busy than the previous week, but still got a lot of work done. One blog tour ended, there was a cover reveal that took place and another blog tour is still in full swing. And I contacted the authors who where the highest bidders on the bundles that contained Lola’s Blog Tours tours during the Quest for Queena auction that took place last month. I am looking forward to organize their tours! And as last month was such a good month for Lola’s Blog Tours I decided to reward myself by (pre-)ordering two new books. I ordered a Star Wars book called the New Dawn which takes place before the Star Wars Rebels animated tv series. It tells the backstory of two of the main characters, so I am really exicted about that. And I pre-ordered Soundless by Richelle Mead, which was the one of the only books being released this year by one of my favourite authors I hadn’t pre-ordered yet. Now there’s only one Kelley Armstrong book for later this year I haven’t pre-ordered yet. This week we cut the rat cage in half, not literally, but the cage is made of two halves and we simply make it so the rats can only sit in one half now. Which means less cleaning for me and easier access to everything for the rats. The rats are getting a bit older and are less explorative so they didn’t use the bottom half as much and had a bit of trouble getting from one to the other half, so we thought it would be a good idea to see how they deal without the bottom half. And only the top half is still big enough to house at least 4 rats comfortable. We did have to put some heavy things in the bottom half so the cage would be a bit more stable. So far they don’t seem to mind to only have one half of the cage. I was afraid they would be angry at me, but they seem okay with it. And friday evening when reading in bed I was petting Snickers and noticed a buldge, we think she has a tumor, so we’ll have to pay a visit to the vet next week :(. They are getting a bit older, but as they are still healthy I am hopefull they can still remove the tumor. And I got my new blog button! Michelle from My Limeabean Designs designed it to fit the new banner she made for me. I love the new button and how it fits my current blog style! Let me know what you think of it. You can find the html code for my button in the sidebar. Oh and Michelle officially opened her business My Limabean Design now, so if you’re looking for as new header, blog button or feature banners make sure to stop by and check out her site. She also does cover designs for authors. Michelle is wonderfull to work with and I love the designs she did for my blog, she designed my header, all my feature banners, my blog button and facebook header. And after the first proof there’s usually something I want changed or try a different style or background or switch things around and she always listen to my requests and makes adjustments to the design until I am 100% happy with the end product. I am joining the Mini Blog Ahead which takes place in the first two weeks of May. I started this month with 36 scheduled posts and hope to get at least to 40 scheduled posts at the end of this challenge. The goal is to end the challenge with 14 more scheduled posts than you started, but I don’t think I get that many done, so I am aiming to ending with 6 posts more. I have written 7 posts so far and am currently at 35 scheduled posts. So I am nicely compensating for the posts that get posted these weeks, but not getting much more ahead, I am just staying in place. I am happy with the amount of books read and reviewed this week, 4 books in a week is pretty good for me. Beside that I added pictures to my Cajun pasta recipe post, which I already had scheduled. And updated my May Bookish Resolutions posts with a new tour banner and updated my June New Releases Challenge post with having read The Rearranged Life. Working with Smarties on my lap and having lunch at the same time, lol. Smarties eating a piece of dried corn. – Book Blitz: Heir of the Blood King by W.O. Cassity – sign-ups open till 19 July – New! A short story of artificial intelligence and love (6000 words, 25 pages). 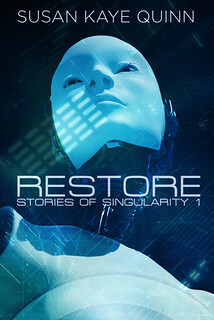 Restore is the first in a collection of short SF novellas (Stories of Singularity) that will accompany Susan Kaye Quinn’s Singularity novel series. There are six planned novels (young adult SF) in the series, plus a prequel novel Day Zero (adult SF). The first novel, The Legacy Human (Singularity #1), is now available. Harmony Valley…not so harmonious after all! 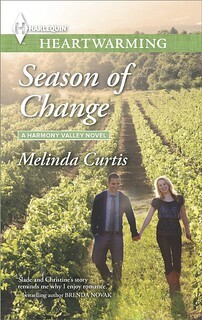 Christine Alexander needs to prove herself as a top-notch winemaker, and in Harmony Valley she’s got a chance to build something legitimate, quality and lasting. What she doesn’t need is part-owner Slade Jennings poking his nose in her cabernet. Brooding, buttoned-up Slade Jennings won’t be making things easy for his new hire. Someone has to worry about the bottom line. Forced into an uneasy partnership, the pair faces two challenges: create a spectacular award-winning vintage within months…and figure out if their tenuous friendship can grow into something deeper and lasting. Thanks so much for updating your page with my new button :). Female rats are well known for getting tumors, but it’s sad every time we notice they have one. Snickers was the first rat to get a tumor, but I hoped she wouldn’t get another one, but this one is on the excat same spot as her first tumor close to her front leg. I am so happy that picture of Smarties on my lap turned out so well, Smarties loves sitting on my lap, although she usually sits pancake style instead of leaning on my desk like that. I am really happy my boyfriend took that picture, she’s so cute! When I try to make a blog button, no matter how carefully I follow the instructions and insert the codes, something always goes wrong. I guess technology and chuckles just do not mix! Do you have a picture you want to use for the blog button? Maybe I can help you. If you have the image itself you want to use or the image code I can make the html for the button. It took me a long time to leanr what I know now and there’s still so much I don’t know, but it’s interesting. I am STINKING on Blog Ahead. I just don’t have time to do as much as I want. I am hoping today I can do a bit. I do hope snickers is ok. I would have cute the cage in half also since it's just the two of them. I love the picture of Smarties eating, the little hands are so cute. I believe we might be getting hamsters this year for xmas since the kids want something cuddlier than the hermit crabs. The two week Blog Ahead doesn’t work as well for me as the first two weeks of a month are for marketing assistant work and the last two for bloggging. The ony reason I got so many posts written is because I finished a lot of books this week. I think the second book in that series is released yet, but I haven’t read Sea of Shadows yet so I haven’t pre-ordered that one. Which makes two of her YA books I still need to order. Maybe next month ;). You’re welcome! I lvoe the new blog button and I want to help spread the word. Snickers has been a bit quiet lately, so I am a bit worried about her. I hope she’ll be okay. And I agree those little paws are so adorable, I love watching them eat. lol I can imagine hermit crabs aren’t that easy to cuddle. Hamsters are cute too and easier to cuddle indeed! I hope Smarties will be OK, Lola! And it’s good that you were able to make the cage smaller – both for you and for them, it seems. You got some really good-looking books this week! There Goes the Bride sounds very interesting. I hope you’ll enjoy all your new additions. Good luck on your blog ahead. I try to stay on top of things and write my reviews and other posts in advance as much as possible, too. And that’s a good thing since I’ll be gone next week. Your new blog button is so well done! Michelle is really good with her designs. Have a wonderful week ahead and happy reading, Lola. Yeah we considered making the cage smaller for a while, but I felt bad for them to have less living space, so I was a bit hesistant, but they seem okay with it. 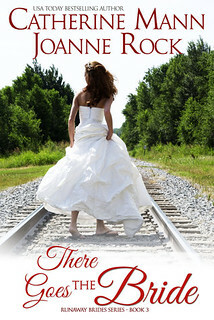 I just started There Goes the Bride this morning, the whole series is about weddings where something goes wrong and bride runs away for some reason or another. They are fun and lighthearted book while still adressing some mroe serious issues as well. I like being ahead, although it didn’t give me as much of a boast this time as I hoped for, but I am still doing better than I expected. 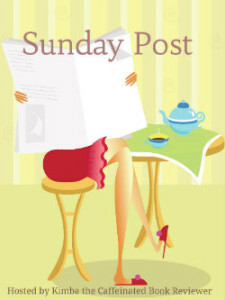 I always write my reviews as soon as I finish a book, but most of the other blogging is doen at the end of the month. Your new blog button is so cute:) I bet Smarties is thinking, I can do that. Looks so cute. And I hope things go well for Snickers and they enjoy their newly redone home. Thanks :). And Smarties and Snickers probably know a lot about my work if they ever pay attention to what I am doing ;). I am happy my boyfriend managed to take that picture she looks adorable. They seem to enjoy their new home, now let’s hope things go well for Snickers next week as well. 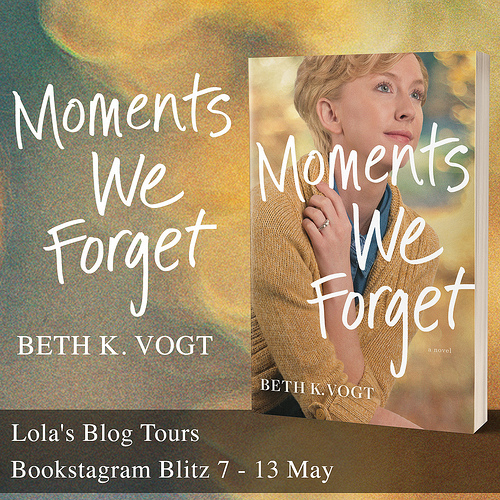 So you ARE Lola’s Blog Tours. I’m always on my phone so I don’t really click the linkies because of data restrictions and stuff lol. Yes I am Lola’s Blog Tours as well :). I thought having the similiar name would work for people to connect the two, while still keeping things seperate as well. Is that link issue because of how phones work or does that mean there’s an issue with my site on mobile? I don’t have a phone with internet so I have no clue how that works. Oh your mobile view is good. I just don’t have time to do much tours right now so I very rarely sign up. I do get invites from you from time to time, I just haven’t checked if you’re the same Lola… Hhehe… Sorry to confuse you. Thanks for letting me know my mobile view is good :). It’s hard to check as I don’t have a mobile phone with internet myself, so I am happy to hear my site looks good. You got some interesting books. It seems that Smarties enjoys being on your lap as well. It looks like you got a few new interesting reads. I like the pictures this week. 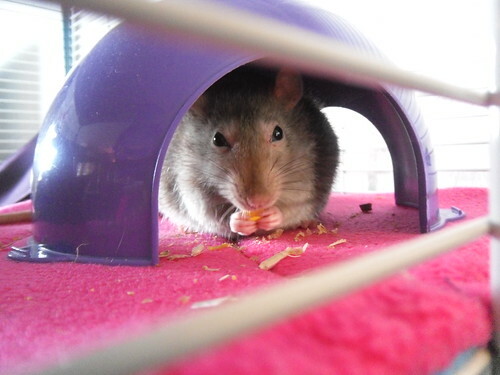 I am glad you like the rat pictures this week :). I made that second one last sunday after your comment that there were no rat pictures and then I noticed that other one was still on my camera. Both Smarties and Snickers like sittign on my lap, although usually Smarties sits there more often, usually her head doesn’t come above the desk like that though. It was a rare moment and a wonder my boyfriend got to snap a picture of her like that. Poor Snickers, hope he’ll be okay! Sounds like you had a productive week as well, you’ll get a bunch of posts done, dont worry! Hey, I was wondering for your blog tours, do you provide html packets? We hope she’ll be okay, hopefully I know more next week. I don’t think I’ll get ahead a lot, but I am still happy with the posts I did write. The first two weeks of a month are always difficult for blogging as I focus on my marketing assistant work then. And yes for my tours I provide html packets, I actually send the media kit in a word doc and in premade html kit for both blogger and wordpress blogs and I always test them to make sure they work :). Media kits will be send out 2 weeks before the start of the tour. Awesome, I’ll have to sign up for a few then:) I’m really bad at html creation XD so I had to check,lol. Indeed most tumors for female rats are mammary tumors, which aren’t cancerous and can be removed pretty easily. Still it always worries me when one of my rats have to go for surgery and I am happy when I have her back in my arms again. Thanks for checking out my tours :). I know how busy bloggers can be, so I want to make things as easy as possible for bloggers, that’s why I make the html kits. I completely understand that, anytime your babies go under operations it’s scary! Indeed, even when you know for 90% sure everything will go alright, it’s still scray. We have a visit scheduled for friday, so if it is indeed a tumor she probably will have her surgery the week after that. I am glad they don’t mind the smaller cage, I was afraid for a while they would dislike it and I would have to reverse it again, but they seem okay with it and still have a big cage. They are able to move around more easily and get everywhere they want easily. I am finally enjoying some cuddles with my rats after being gone most of the day visiting my boyfriend’s parents for mother’s day. I hope you have a great mother’s day as well and enjoying snuggles from your herd babes! Thanks Stromi :). 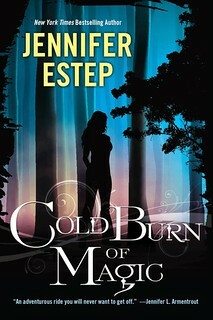 I am hopign to read Cold Burn of Magic soon as I’ve enjoyed this author’s books so far. Aw, I hope Snickers is okay! One of our old dogs had what we thought was a tumor, but it was just a fat deposit. Thank goodness. I am not sure if rats can get fat deposits, but it’s better to have it get checked out by the vet just in case. Tumors are pretty common for female rats, but luckily they are easy to remove as well as long as you spot them early. I hope I can read Cold Burn of Magic soon, it sounds like a fun book! I’ve had to do the same thing with the rat cages when they got older and weren’t getting around as good anymore. Those pictures of Smarties are so cute. This is the first time we had rats, so I wasn’t sure whether to keep the cage like that or make it smaller, but in the end we decided to try it out as they didn’t use the bottom half and we can always change it again if they didn’t like it. Our rats are still pretty mobile, but less so than when they were younger, it really get’s obvious now they are getting a bit older. Go, you, for being so productive, my dear!!! <3 Which reminds me that I need to pre-order Soundless too because I am loving Richelle Mead right now with her latest books! 😀 And also, those pictures with your pets are sooooo adorable. I hope that Snickers is fine, though, and nothing life-threatening will be found in him regarding that tumor. I always want to me more productive, but with everything else going on it was still a productive week. I love Richelle Mead her books, although I still haven’t read her Age of X series. I hope to read the last Bloodlines book soon. Usually with rats the tumors aren’t life threatening, female rats get a lot of mammary tumors, which aren’t cancerous, but they need to be removed or else they can grow really big and that makes it hard for the rat to move. Even knowing that it’s still scary when they have to go for surgery and I am always happy when the surgery is over. Ah, hope the lump on Smarties is easily dealt with. Glad they didn’t get upset about the downsizing of their home. Nice job getting ahead on some posts and tours. Quite the stack of new books this week. Usually these tumors are easily removed, but it still scares me every time. It’s just not fun when there’s somethign wrong with them. I was really scared they didn’t like the smaller home, but they seemed okay with it. I am getting as much ahead as I wanted to, but at least I stay around 35 posts ahead. Wow, 40 posts scheduled, that’s pretty impressive. I’m not sure I’ll ever be that organised! Actually 40 is my goal, I am currently around 35 scheduled posts. I am ahead mostly with my Lola’s ramblings and Kitchen posts and I like to schedule recap posts ahead and then update them when i read new books for that challenge. I am finally a week or two ahead with reviews as well and I love it. It’s handy for when I have a busy week and can’t do much blogging. Nice book haul. *fingers crossed* that Snickers will be fine. Good luck with the tours! Thanks! we have a visit planned to the vet this friday, so then we know more. We have an visit to the vet planned for this friday. Most tumors are easy to remove, but I still worry :(. 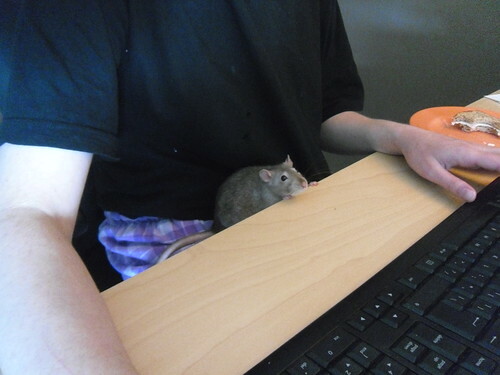 It’s sad female rats get tumors so often, this is Snickers her second one. They are two years old now, but they are still pretty active and healty, so I hope she can still have the surgery. I was hoping they would have a paperback of Soundless, but so far it looks like it wil be hardcopy only at first, so I decided to just pre-order that one. Those hardcopies are sure pricey. I only have a few hardcopies of books by my favourite authors for which I don’t want to wait till the paperback. 40 is what I am aiming for, I am currently at 35 or so. I try to schedule a lot of posts in advance, but also things like recap posts for challenges I just schedule them and keep adding new books. I mostly schedule a lot of Lola’s ramblings and Lola’s Kitchen post in advance, the last two weeks of a month are more focussed on blogging and then i try to write at least 4 Lola’s Ramblings posts as I try to stay 2 months ahead with those. With Lola’s Kitchen I made the recipe post as soon as I make the picture, although at the moment I have 1 or 2 posts for which I have picture, but not yet made the posts. Then for reviews I write those as soon as I finish my book and schedule them. It can help to read a lot of novella’s or skip one week so you can get ahead with reviews. And things like the sunday posts I schedule early in the week. I hate just hitting publish, everything needs to be scheduled. It’s an obsession, lol. And I have to stay ahead, else I feel bad. Her covers look more science-y, but they are great reads. The Legacy Human might be my favourite book of her yet, it doe stake place in the future, but it’s easy to follow and not too complicated or science-y, it’s about the same science-y level of Open Minds I think. It’s about what it means to be human, but mostly it’s a great story set in a world with robots. I love her books! I would recommend this series.